Dear Reader! You found me!!! I don't know how you came to this site, but welcome! We all have a dream, actually I am sure that we all have more than one dream that either motivates us or suffocates us. You are about to learn something of my dream. It is one that I have been trying to put into words since I was a teenager, but I was even working on it before then. It has taken many years of creating, playing, making, experimenting, contemplating and praying to finally understand exactly what my own artistic vision is all about. Now, after years of procrastinating, that was laced with "intimidation" I have finally decided to take up the challenge and the calling. So, herein this site I have tried my best to lay out a large portion of my vision. In a Nut Shell I want to energize the youth and maybe even some of you. The plan is to do this by utilizing the arts, as well as the art making process to speak to people of all ages, and from all walks of life. To visualize ideals and to idealize realities. After painting the Pray and Play Murals on the truck featured below a new idea for a community wide project came to mind inspired by a conversation with a visitor that stopped by when artists Anthony Jones and David Heatwole were putting on the final touches. Now the first major creative community collaboration is well underway and is designed to reach out to the youth of America while also inspiring America as a whole. 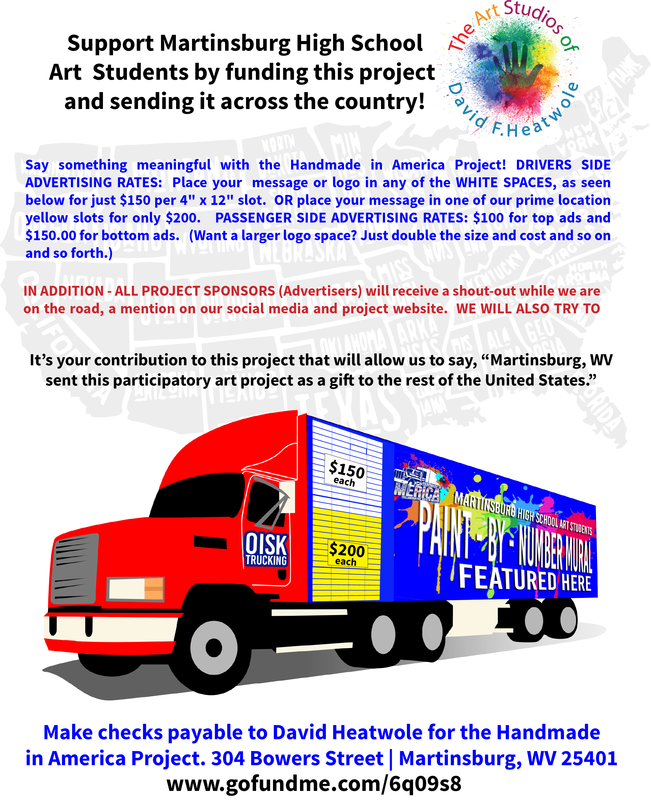 The basic idea is to send a new 53' tractor trailer with it's sides marked off to be paint-by-number murals created by art students at Martinsburg High School. These touring Paint-by-number murals will be taken across country school to school by OISK Trucking and artist David Heatwole for a two and a half week tour across America and back again to West Virginia. 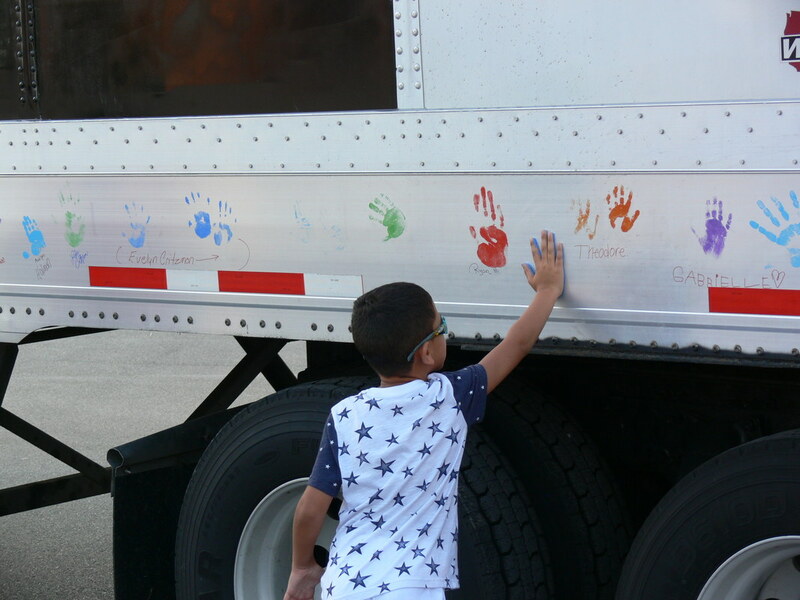 Children at our various stops will add their painted hand-prints to the corresponding zones. Here is a community collaboration project to bring together school age children from around the country. Is you school along our tour route? 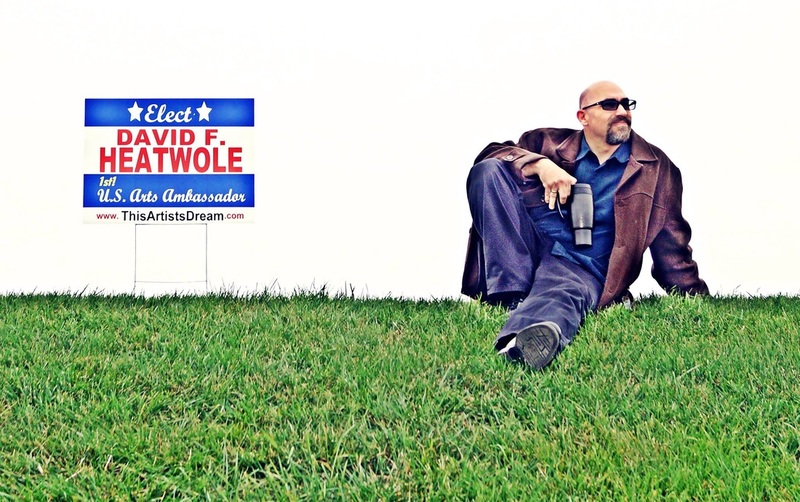 Want me to come talk with your art classes about the power of Art, Creativity and inspiration? Want your art classes to be part of a collaborative art project? THIS IS IT! Fill out the form below if you are interested in knowing more for Spring of 2018. Get the quick and dirty of the project by watching the short animation below. To learn more about the project watch the video underneath that one. Art teachers, PTO representative and potential sponsors! Want more information?